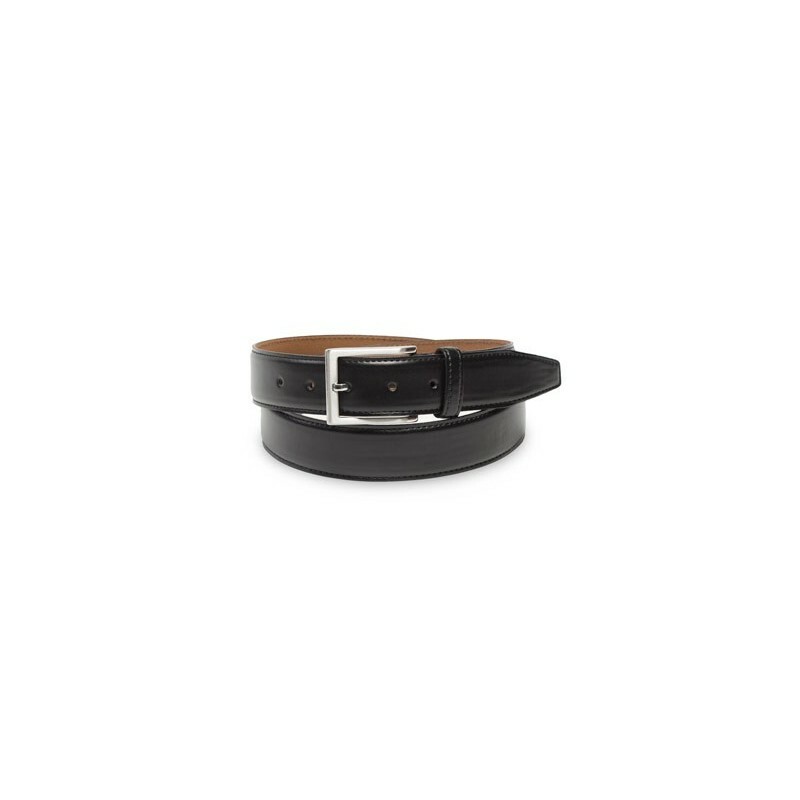 This classic dress belt is handcrafted from finest calf leather. The fine stitching on the edge of the belt adds nice detail to an otherwise classic and unembellished belt. 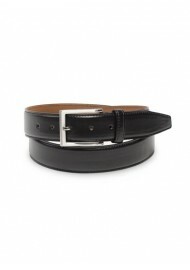 A great belt for any suit! Comes in classic black (shown), trendy light cognac brown, classic dark brown, and unusual marine blue.